"Addis" plastic doll dressed as a First World War VAD member. The body is one section of blue pastic with a red emblem. 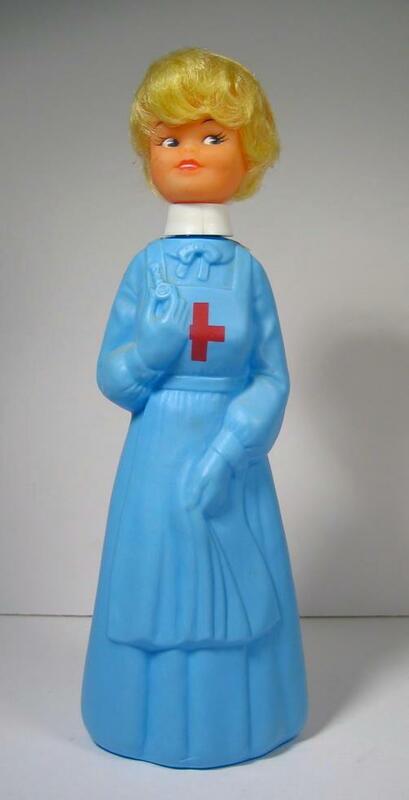 The head unscrews at the collar, presumably to hold bubble bath. Doll has fake hair and a small white cap with emblem. Bought at jumble sale in 1986.